Populations can increase or decrease for many reasons. Identifying the demographic mechanism by which populations are changing can help us narrow down the ecological causes. In turn this can help shape conservation and management policies. 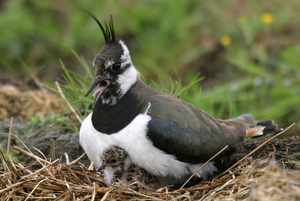 For example, research by BTO and others showed that nesting success in Lapwing can be very sensitive to the habitat they nest in, information that has influenced advice on how farmers and reserve managers should implement habitat management policies (Sheldon et al. 2004). However, in order to get a full picture of how populations are changing one needs to consider all sources of information together. Statistically, it is quite challenging to combine disparate datasets effectively. However, much progress has been made recently through the application of a suite of procedures that use Bayes’ theorem. The Revd Thomas Bayes actually came up with his statistical theorem in 1763, but it required so many calculations it was impractical to apply it to anything other than very simple datasets. However, the advent of high performance computers now mean the intense number crunching required can be undertaken. In essence, Bayes’ Theorem shifts the focus from calculating which (single) value of survival or nest success, say, best fits the observed data, to asking ‘given the data I have, how likely is it that any particular value of survival or nest success yielded them?’ It turns out that this way of looking at the world enables to us to contemplate much more complex problems than previously, such as how to combine data from the Nest Record and Ringing Schemes. Two papers by BTO researchers, in collaboration with statisticians, on Song Thrush and Blackbird develop the methods to do this (Baillie et al. 2009; Robinson et al. in press). It is hoped that these will pave the way, in time, for us to apply these methods to a wide range of species for which BTO volunteers collect data on a routine basis. This will help us give the best advice we can about the factors affecting our bird populations. Baillie, S.R., Brooks, S.P., King, R., Thomas, L. 2009. Using a state-space model of the British Song Thrush Turdus philomelos population to diagnose the causes of a population decline. In: Thomson D.L., Cooch E.G., Conroy M.J. (eds) Modeling Demographic Processes in Marked Populations. Springer, New York, 541–561. Paper (pdf). Robinson, R.A., Baillie, S.R., King, R. 2012. Population processes in European blackbirds Turdus merula: a state-space approach. Journal for Ornithology.